Who was the face behind the name of Hodgkin lymphoma? Thomas Hodgkin (1798-1866) was a British pathologist who first described this disease in the early 1800's. 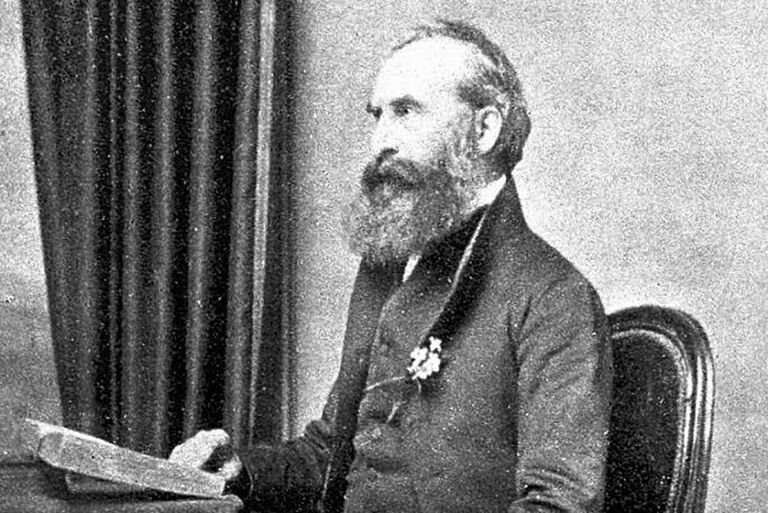 Thomas Hodgkin was one of the most prominent British pathologists of his time, lecturing and curating the pathology museum at Guy's Hospital Medical School in London. He performed hundreds of autopsies and cataloged thousands of specimens. He also brought the first stethoscope to Guy's Hospital after being instructed in how it was used by René Laennec in Paris. In his work for the pathology museum, he studied preserved specimens of human organs affected by different diseases. In 1832, he published a paper that described a pattern of disease in the lymph nodes and spleen that he thought was a specific disease rather than an infection. This paper, entitled "On Some Morbid Appearances of the Absorbent Glands and Spleen," was published in the Journal of the Medical and Chirurgical Society in London. At the time of publication, this paper went almost unnoticed. More than three decades later, in 1865, another British physician, Samuel Wilks, described the same disease features. While looking through earlier papers, he realized that Hodgkin had actually discovered the disease before him. He named the disease after Hodgkin. Since then, this cancer of the lymph nodes bears this name. For over a century it was called Hodgkin's disease or Hodgkin's lymphoma. In recent years, the possessive has been dropped and how it is called Hodgkin lymphoma and non-Hodgkin lymphoma. You will still see both forms in use today, but it all refers to the same disease. Thomas Hodgkin has a lot more to his credit than just describing Hodgkin lymphoma. He also first described acute appendicitis and aortic insufficiency, a disease of the heart. He wrote several seminal books, including one on the spread of cancer to the lungs and abdomen. He collaborated with Joseph J. Lister (the father of antiseptic surgery) and used his improved microscope lens to discover that red blood cells had a biconcave shape and that skeletal muscle fibers have striations. Their paper is considered by some to be the foundation of modern histology, the study of the microscopic anatomy of cells. Interestingly, he didn't examine the lymph nodes he described in lymphoma under the microscope, although analysis of the cases almost 100 years later confirmed they were Hodgkin lymphoma and non-Hodgkin lymphoma. Hodgkin was from a devout Quaker family and from an early age he wrote on social injustice and racial inequality. He was a great proponent of social medicine and philanthropy. Hodgkin lectured at Guy's Medical College on public health promotion through clean air, bathing, and sewage disposal. He advocated for preventative lifestyles including getting regular exercise and avoiding overeating, drinking alcohol and smoking. He traveled the world with his friend and patron Moses Montefiore, lecturing on sanitary measures and helping Jews and other oppressed peoples. Ironically, he died from a dysentery-like illness during a visit to Palestine in 1866. He is buried in Jaffa. Today, the progress that has been made in science and medicine since Thomas Hodgkin's times would no doubt be astounding to him. And yet, there is certainly still room for improvement. Hodgkin disease is now considered one of the more treatable and curable cancers, and it often carries a very good prognosis. This is not true in all cases, however, and HL still takes lives. The American Cancer Society estimates that in 2017, some 8,260 new cases were diagnosed and there were 1,070 deaths from this cancer. King's College London, University of London website: "King's College History – Thomas Hodgkin." Marvin J. Stone, MD. "Thomas Hodgkin: medical immortal and uncompromising idealist." Proc (Bayl Univ Med Cent). 2005 Oct; 18(4): 368–375. What Are Secondary Cancers in People With Hodgkin Disease? What Are the Tests You Need to Take After Diagnosis of Lymphoma? What Is the Hodgkin Itch and What Can You Do About It? What Is Nodular Sclerosing Hodgkin Lymphoma?